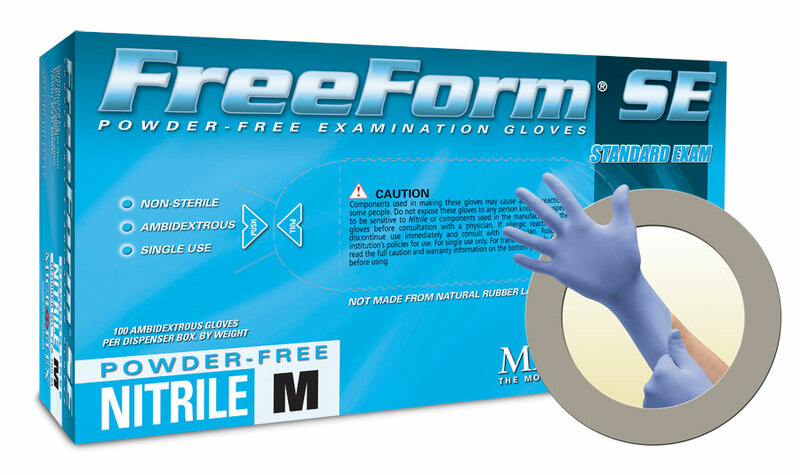 Microflex FreeForm SE Powder Free Nitrile Exam Grade Gloves are recommended for use when working in wet environments that demand a sure grip. Light to mid-duty tasks require a combination of comfort and durability. Precise contact and softness require enhanced tactile sensitivity.